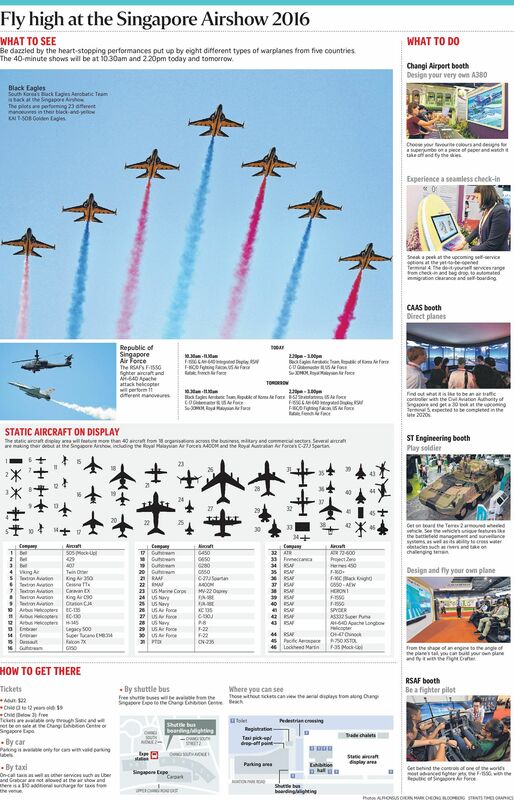 SINGAPORE - Open to the public this Saturday (Feb 20) and Sunday (Feb 21), the Singapore Airshow, a biennial event which has been running since 2008, features a number of treats for aviation enthusiasts. South Korea's Black Eagles aerobatics team will be back in Singapore for the second time after a successful showing in 2014. They will wow the crowd with 23 manoveures in their trademark black and yellow Kai T-50 Golden Eagles. The Republic of Singapore Air Force (RSAF) will be putting on a unique aerobatic performance, featuring 11 different manoeuvres by a F-15SG fighter aircraft and an AH-64D Apache attack helicopter, including three performed together. The United States Air Force will be flying the B-52 Stratofortress, which was last here for the 2012 aerial display. 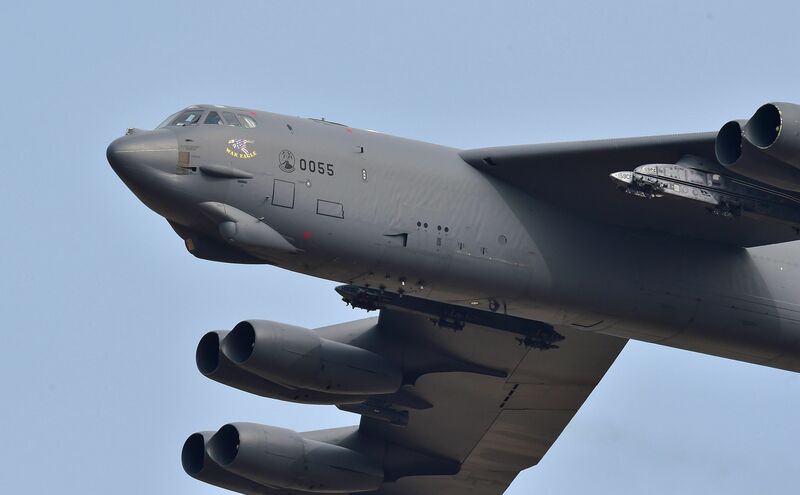 In use since the 1950s, the B52 is capable of flying at high subsonic speeds at altitudes up to 15,166m. Visitors will have the chance to climb into the cockpit of the F16C used by the RSAF's Black Knights for their aerial displays last year, with their unique crescent and stars livery inspired by the Singapore flag, at the static display area. Italian industrial group Finmeccanica will be displaying its demonstrator aircraft Project Zero at the static display. The electric-powered rotorcraft features two integrated tilt-rotors, which allow it to take off and land like a helicopter but fly like an aeroplane. 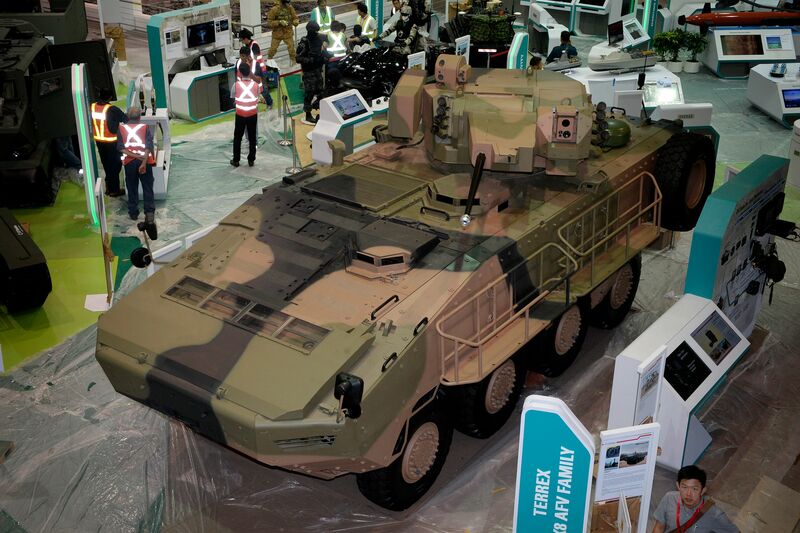 Up to 13 visitors can get on board the Terrex 2 at the ST Engineering display. An armoured wheeled vehicle, the Terrex 2 can cross water obstacles such as rivers as well as take on challenging terrain. Get behind the controls of a EC135 helicopter at ST Electronics helicopter simulator, which allows users to experience flying a helicopter in a number of scenarios including avoiding obstacles and landing on an aircraft carrier. 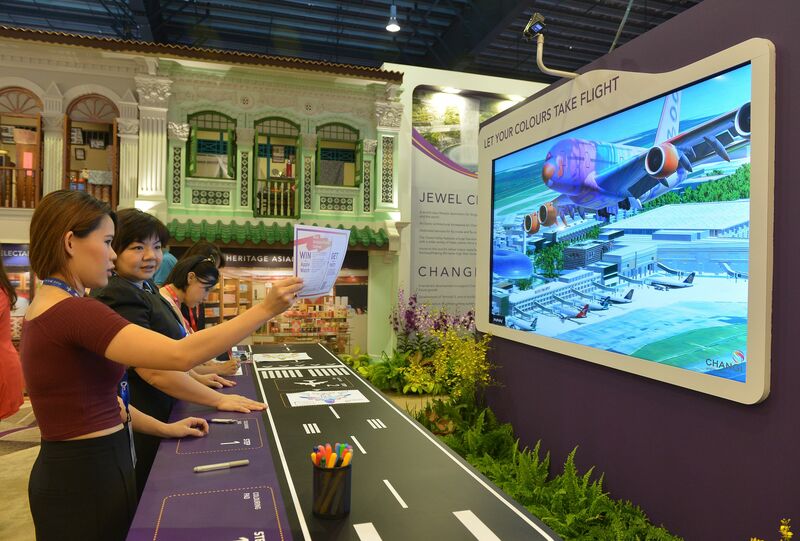 Using the Flight Crafter at the ST Engineering display, visitors will get the chance to not only design their own plane, including features such as the engine, wings and tail, but also fly a simulation of it using a virtual reality headset. 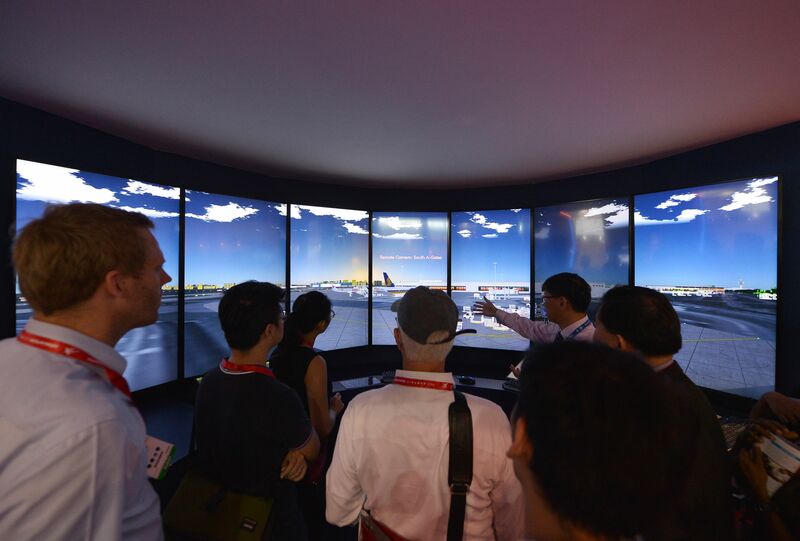 Get a feel of the life of an air traffic controller at the control tower simulator at the Civil Aviation Authority of Singapore's booth, which also offers a 3D look at the upcoming Terminal 5, expected to be completed in the late 2020s. You may even catch a glimpse of the Millennium Falcon taking off from Changi Airport.